African mango (Irvingia gabonensis) is a deciduous tree native to humid lowland forests in Africa. The pulp and seeds have been used as a food source – its consumption is common in traditional Nigerian and Cameroonian cuisine. The roots, leaves, and bark of African mango have traditionally been used as medicines. The bark is known for its treatment of diarrhea, colic, and dysentery when combined with palm oil.The active constituents found in the bark have antibiotic and pain-relief functions. The mango-like fruits of African mango are sought after for their fiber, fat, and protein-rich seeds. Dried Irvingia gabonensis seeds have been consumed throughout West African countries for centuries. Initial studies have suggested positive impact on metabolic parameters, which were associated with African mango’s high fiber content . Results of subsequent analysis found that prior observations of its beneficial effects were not solely attributed to fiber. More recent research has offered convincing data suggesting that African mangoseed extract may inhibit adipogenesis (fat formation) . It has additionally been suggested to induce appetite suppression by stimulating the hormone leptin that is able to modulate appetite by interacting with the brain – making you feel satisfied for a longer duration after eating a meal. Delving deeper into the science behind these health benefits… Recently, African Mango based dietary supplements have become a popular herbal weight loss supplement in the United States, as it is believed to be a natural and healthy way to lose weight. A randomized, double blind, placebo controlled study demonstrated significant differences between the treatment and placebo groups in weight and fat loss, as well as reductions in hip and waist circumference. African mango was also reported to have a positive impact on body weight and the characteristics of metabolic syndrome in another double blind, randomized, placebo controlled clinical trial that set out to assess this ingredient’s anti-obesity and lipid profile effects. The high soluble fiber content potentially lowers plasma cholesterol, triglycerides, and glucose concentrations. Insulin resistance – which is fundamental to metabolic syndrome – is strongly associated with excess adiposity. Given that blood leptin levels are related to the level of fat tissue, the decrease in blood leptin levels that is associated with African mango treatment very well may be secondary to the decrease in fat tissue resulting from weight loss. 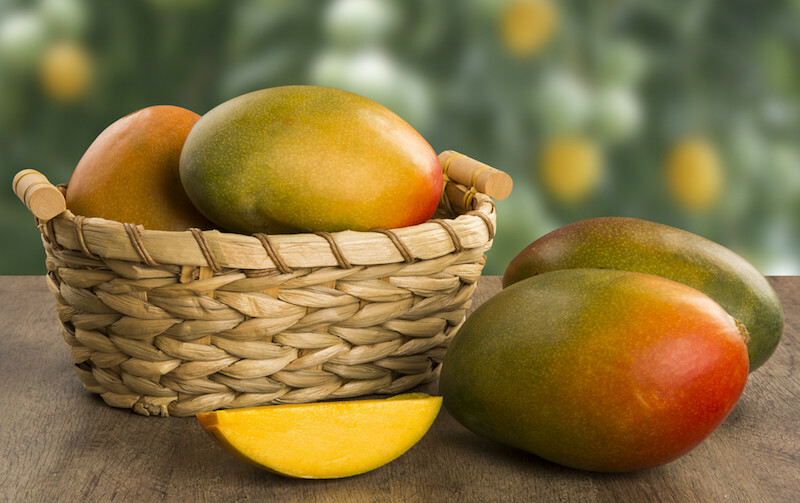 African mango’sinhibition of adipogenesis is thought to occur through modulation of PPAR and glycerol-3 phosphate dehydrogenase, along with effects on leptin and adiponectin – hormones secreted by fat cells that regulate metabolism of lipids and glucose. The inhibitory effects of it on adipocytes are suggested by the decrease in intracellular triglyceride content and glyceraldehyde-3 phosphate dehydrogenase activity. This likely occurs via the down-regulated expression of PPARγ – which promotes angiogenesis – and leptin, coupled with the up-regulated expression of adiponectin. Leptin is secreted from adipocytes and can reduce food intake when able to gain access to the brain, in addition to increasing energy use. These results indicate that African mango may have a significant role in controlling adipogenesis. Of note, by targeting the PPARγ gene – which is recognized to play a role in obesity – this supplement may have implications for the treatment of obese patients. While research into that application is ongoing, the positive impact that African mango can have on weight loss is clear, making this a powerful ingredient in supplements. So whether you are interested in appetite suppression, weight loss, or likely both, African mango packs a powerful punch, so it can provide you a safe, natural, and effective way to achieve your dietary goals. Ngondi J, Oben J, Minka R: The effect of Irvingia gabonensis seeds on body weight and blood lipids of obese subjects in Cameroon. Lipids in Health & Disease 2005, 4:12. Oben J, Ngondi JL, Blum K: Inhibition of Irvingigia gabonensis seed extract (OB131) on adipogenesis as mediated via down regulation of the PPAR and Leptin genes and up-regulation of the adiponectic gene. Lipids in Health and Disease 2008, 7:44.